This wonderful #80A journal by fellow board member TMLee (user name) is really most excellent! I love the personal touches and the care and integrity he put into it and the sense of loving care he imparts throughout this wonderful craft. He offers many patterns. 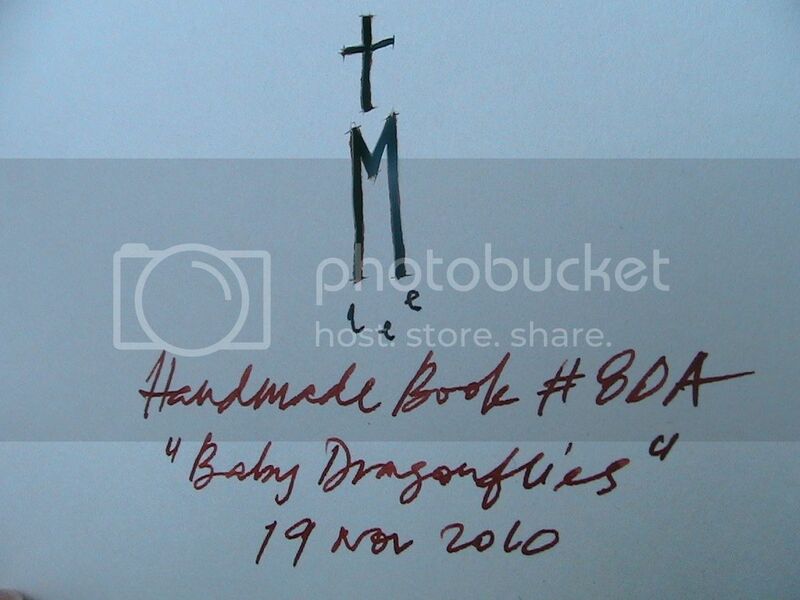 I am amazed by the created design of dragonflies themselves, so I chose the Baby Dragonflies pattern. Edited by pb2, 10 December 2010 - 01:31. That is gorgeous! Very nice craftmanship. What is the paper like? The paper I got is a beautiful color, heavier stock ( maybe 35lb), very smooth, and holds a nice tight ink line as you can see in the photos: zero feathering! I think it can vary, so perhaps TM can chime in here. The paper used in that journal is a light grey. Its 124gsm. Copier paper is 80gsm or thinner at 70gsm. The grey is a cold grey as opposed to a warm grey. Grey papers are useful bcos they eliminate shadows on the reverse side of the page. Its not bleedthru , Its the shadows of the handwritten side showing up on the reverse side. It is more obvious if you use very white paper and very dark inks. Of course if the paper is sufficiently thick, the shadows have no chance of showing thru. All my journal writing pages are ink tested before they proceed to stitching. This is why in all my posted journals, I always include a page showing a test handwritten sentence. I call it an "inktestpage". That test is intentionally done with a very wet nib - in my case a Stipula Etruria with a <0.9> stub nib. The reason for using a wettest nib is to literally see how the paper takes a wetter than normal amount of ink when laid on it. The presumption is that anything less wet will definitely have no problems. There have been occasions when a sheet of paper doesn't pass this inktest. In this scenario, that batch/ream of paper is rejected and doesn't get stitched into the journals. This is why you also do not see any of my journals with failed inktestpages. 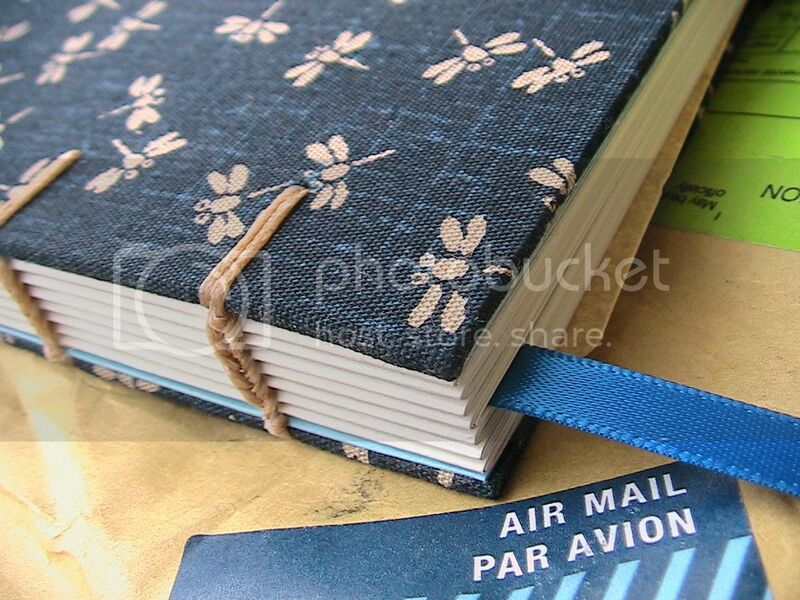 Its costly to me but better this than to craft a journal that doesn't work ! It'll only cause more frustration to the buyer. The picture will inform anyone of what kind of paper has been used. My earlier journals do not state the FP and the ink. 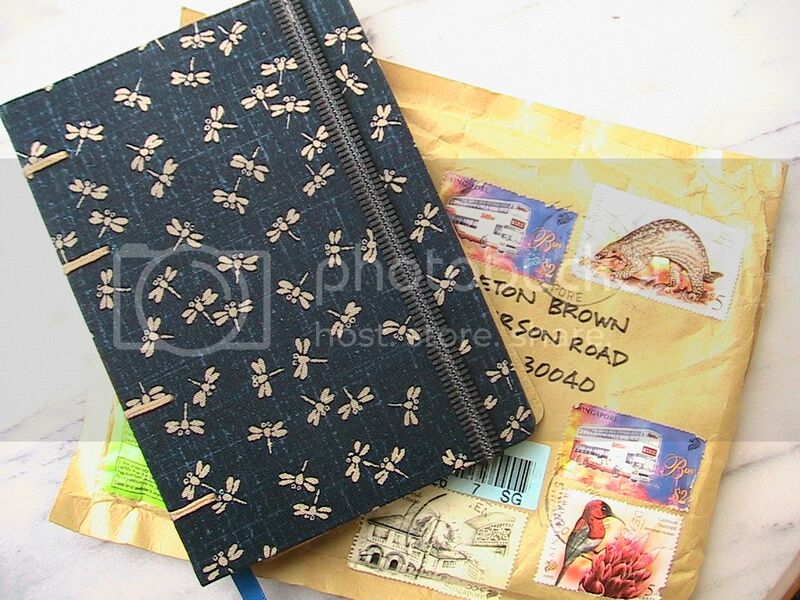 Only the recent and later ones bcos I keep getting queries from purchasers of my Journals. Brown ink is used bcos its more challenging than the 'safe' blue inks or blacks. Brown has got green and red dyes mixed in its composition. Red dyes are more unforgiving on paper. Green ink is I think rather safe on paper. Blue inks are generally very safe and an inktestpage with a safe blue ink won't reveal much if the paper is not ink-friendly. That is why I don't use blue inks in my ink testpage. There is a second inktest. And one that is revealing. It is the Colophon page. But actually it serves a second useful gauge of the paper. This page is always written with a PILOT Custom 742 <FA> nib. It is a modern flex nib. The reason for choosing such a nib is to test how well the paper takes ink with a fine nib pressed hard onto the paper. When the tines are pressed hard into the paper , a larger amount of ink is deposited as in the case of this flex nib. Thats why the Colophon photo is always taken in a certain angle to illustrate this effect. You can see the pressure i put on the paper as I sign off. The tines spread and the strokewidths widen with a great deal of dark shading due to the amount of ink deposited. Note there is no feathering even tho the paper has to soak in the amount of ink. In any case, a paper that has failed the inktestpage will show the same problems on this Colophon page. With these 2 ink tests in every one of my journals, I am therefore assured that my journals are fit to serve their purpose. They then get put on sale or are gifted away. I don't have the more 'difficult' inks but with these browns , I think it gives a pretty adequate picture. Just wanted to note, It has been such a pleasure to observe the evolving mastery of these beautiful journals. and painted it with ECOLINE watercolours. The wooden part of the pencil in the drawing was done with the same watercolour and left standing wet on the surface. The wetness warped the paper as you see in the next picture. Here you see the wooden part of the pencil warped on the paper due to the wetness. However, as you can see , there is no bleedthru whatsoever. And the Noodler's Black is wonderfully waterfast after a good drying period. The watercolours were applied a day after the ink sketch. I didn't paint immediately bcos the water will wash off expecially the parts of the ink where its not fully dried yet as I had mentioned in my separate thread review of Zequenz 360o Roll Up Notebooks. I just received a lovely surprise gift of a TMLee journal and would like to add my praise to those above. The workmanship and attention to detail is truly awesome ....not a word I use lightly! I have two TMLee notebooks. They're so nice, I still haven't been able to bring myself to write in them.... Maybe I can use one of them as an Pens & Inks record. 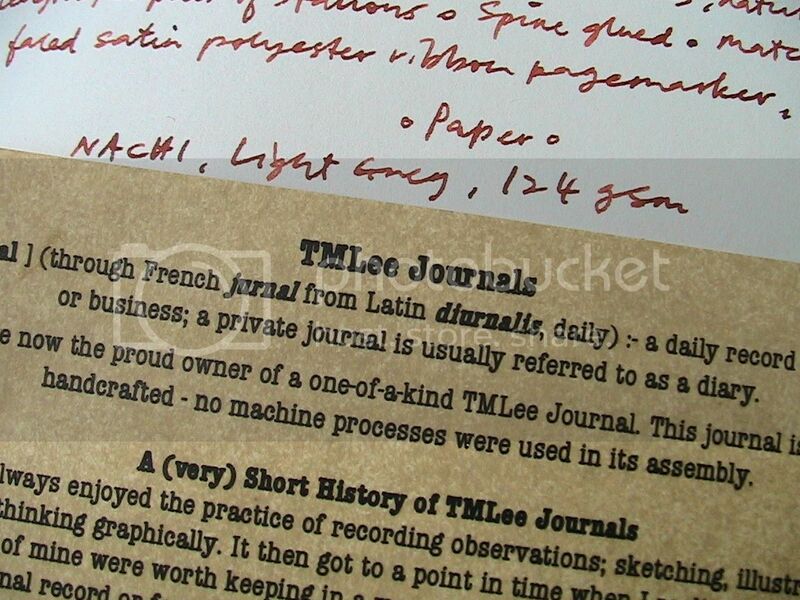 But, yes, I am well-pleased to own notebooks made by TMLee. Just today! Add me to those who've delighted to opened a special package from Singapore! The outside world stopped as I marveled at the fine details. So much more than I anticipated from the photos. Now I must have time to determine what is worthy to merit entry into this beautiful journal. Wow! I am so impressed. This is going on my "need to get" list. In fact, I just PMed to buy #93. Can't wait to get the journals! Edited by Chris H, 14 January 2011 - 02:59. Very much interested in Life, Liberty, and especially the pursuit of Happiness! 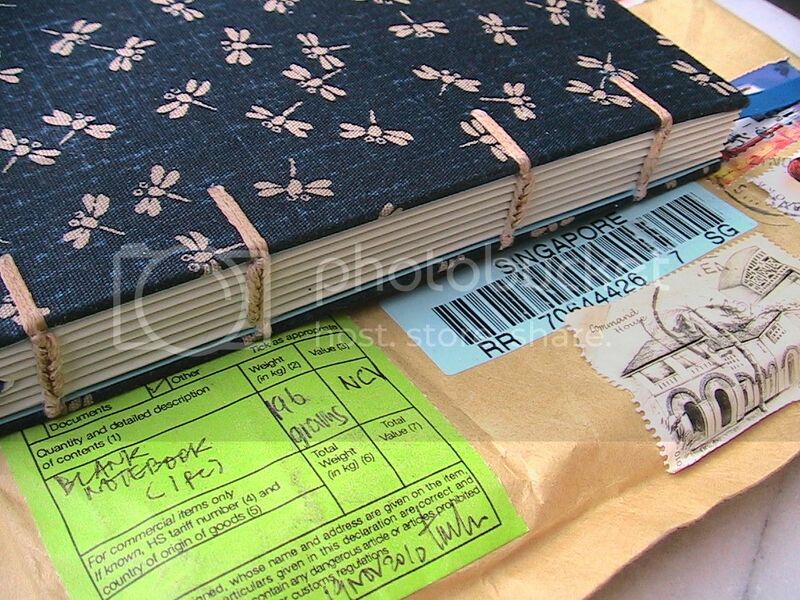 I just received custom journals ordered from TMLee. For special orders, patience is required, as these are a process of mutual exploration and development, but the results are stunning. I was fortunate enough to be part of the low relief journal process recently developed and have some stunning pieces to show for this -- almost too beautiful to write in, but made expressly for this purpose. My thoughts will now have to be as refined as these journals. Thank you again for this beautiful work! I would post photos, but the photos already taken and posted that show their development and creation show their beauty in full. Thanks Girardian. Hope they will serve you well.